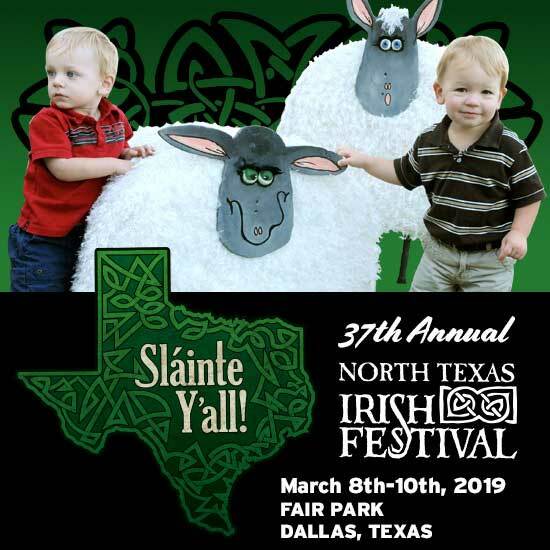 The North Texas Irish Festival is back with another year of amazing music, dance, and cultural talent to celebrate the rich tradition of Irish and Celtic culture. This year’s event is March 8-10, 2019, in Dallas’s own Fair Park. 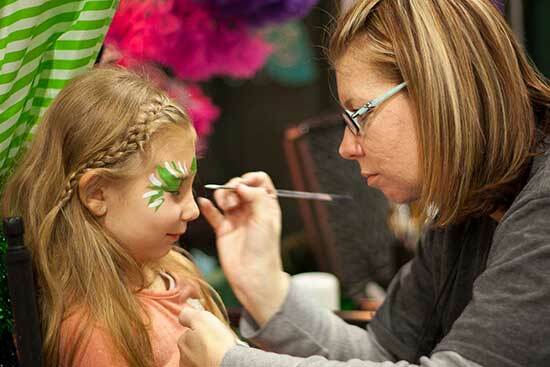 Tens of thousands of people will come from across Texas and other parts of the country to visit one of the largest Irish festivals in the U.S., a family-friendly event that features live music, dancing, storytelling, chef demonstrations and more on 13 stages throughout Fair Park. 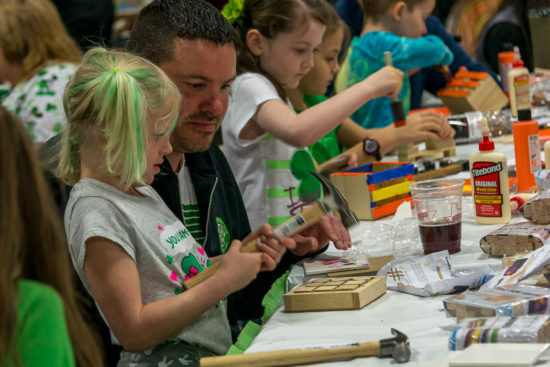 Attendees will also enjoy horse shows, sheepherding demonstrations, beer and whiskey tasting, genealogy research opportunities, shopping, animal rescue groups, child-friendly entertainment, and free arts and crafts for the kids. New for this year is another opportunity to kick up your heels, this time at the first-ever North Texas Irish Festival Fun Run, to take place Saturday, March 9. This family-friendly fun run is perfect for runners or walkers of any age or ability, and also for dogs! All registered participants will receive a T-shirt, a “bottle opener” medal, one ticket to the North Texas Irish Festival, and two beers after the run if you are of legal drinking age. This non-timed 5K fun run will benefit Friends of Fair Park and the Southwest Celtic Music Association. Unique as the largest cultural celebration in DFW, and one of the largest Irish festivals in the U.S., the North Texas Irish Festival is produced annually by almost 1,000 volunteers, some of whom have volunteered for decades, often alongside generations of their families. This is the festival’s 37th year. Music, dancing, whiskey tastings, blacksmithing demonstrations, horse displays, Celtic storytelling, animal rescue groups, Shepherd’s pie, Irish stew, dozens of activities for kids and child-friendly entertainment, and chef demonstrations are all found at this family-friendly festival that includes 13 stages of entertainment. Gates open on Friday evening, March 8, at 6 p.m. Hours are 6 to 11 p.m. on Friday; 10:30 a.m. to 11:30 p.m. on Saturday, March 9; and 11:30 a.m. to 7:30 p.m. on Sunday, March 10. North Texas Irish Festival Fun Run is Saturday, March 9, 8-11 a.m. Packet pick-up is at 7 a.m. at the Magnolia Lounge in Fair Park. Fun run registration is available online at: https://tinyurl.com/ycb3pwex. Tickets will be available in February online at www.NTIF.org and at DFW-area Tom Thumb stores. Saturday and Sunday: At the gate, a one-day ticket is $20 on Saturday and $15 on Sunday, two-day ticket is $25, and weekend pass is $30. Discount tickets can be purchased at area Tom Thumb and Albertsons stores. Children 11 and under FREE when accompanied by adult family member. Tickets for seniors over 65 or current military members (with valid military ID) receive $5 off all gate prices. 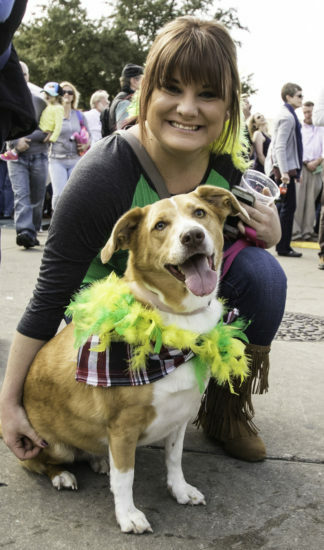 Dogs are allowed in on a short leash with a $1 requested donation to animal rescue groups supported by the festival. Leprechauns (in full ceremonial dress and carrying a pot of gold) are FREE.